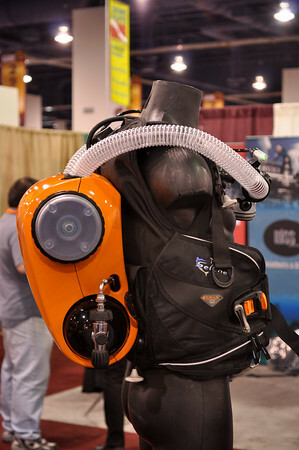 Curt Bowen of Advanced Diver Magazine has posted a good interview of Jeff Gourley who explains the principles behind VR Technologies’ new hybrid rebreather. A nitrox based unit that is very much aimed towards recreational divers and one that should meet the requirements of the forthcoming PADI recreational rebreather courses. wen do PADI have a intoduction in Nederland???? It about time somebody thought of a souped up version of the Dolphin SCR which has a good history for recreational rebreather diving since 1995 with PADI…well done Kevin! I don’t beleive in the future of the SCR, and there is something strange LOL this SCR looks like an ABS 40 ! !